Kidney Issues, The Effects from Type 2 Diabetes | Denise A. Pancyrz "Reverse My Diabetes"
Kidney disease is no joking matter. I’ve met many diabetics with kidney issues, some on dialysis. It’s time to understand how diabetes effects your kidneys. A common problem from high glucose levels is small blood vessels become injured. When this happens, your kidneys lose the ability to properly clean your blood, causing you to retain water and salt, along with many other issues. Waste materials can build up in your blood. Your bladder can also become effected making it difficult to empty your bladder. The pressure that builds from a full bladder can back up and possibly injure your kidneys. Ten to forty percent of Type 2 diabetes patients can eventually suffer from kidney failure. That’s between 3.3 and 12.1 million people that will suffer from kidney failure. 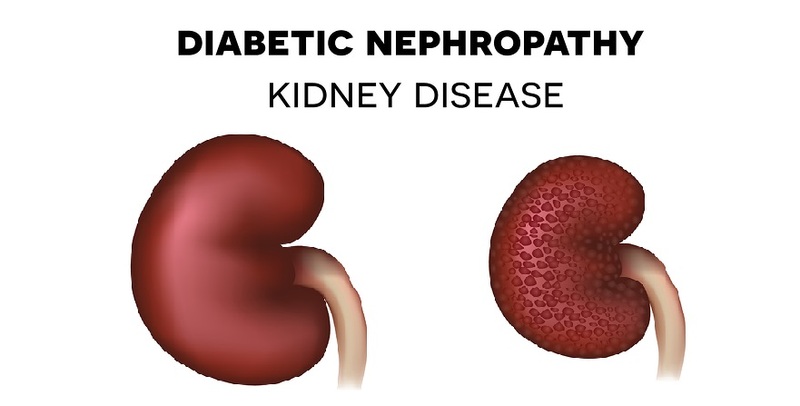 Did you know that many of the diabetes drugs on the market may cause or worsen kidney disease? One sign of kidney disease is an increase of albumin in your urine. Albumin is a protein in your blood. One of the functions of your kidneys is to stop albumin from being passed into your urine. Damaged kidneys can allow the pass-through of albumin. Additionally, morning sickness, nausea, and vomiting can be signs of kidney disease. Make sure you discuss and understand your test results with your physician. The progression of kidney disease can be stopped or slowed down, possibly improved. Once you reach late stage kidney disease, it is not reversible. End stage renal failure occurs when your kidneys function at only 10 to 15 percent. Then, dialysis or a transplant is warranted. Millions are affected each year. I have a dear client who has recently been told her kidneys are falling apart. She has been on diabetes medication and insulin for years. Until we began working together, she didn’t realize how poorly managed her diabetes has been even when her fasting levels were in or near normal range. That is a topic for another day! The best place for a diabetes patient to start is by lowering your glucose levels in a healthy manner. Learn more on how diabetes contributes to kidney disease by joining me on July 17th for my webinar, Kidney Disease, The Effects from Diabetes.” Visit ReverseMydiabetes.net to view all diabetes reversal webinars.